Make the most of this weekend's taste of spring! It's going to be in the upper 60s on both Saturday and Sunday. Presidents Day is on Monday. Enjoy your three-day weekend! Museums around D.C. are having special deals and featured exhibits this month. Last weekend was supposed to be a mini-spring here in DC... but Mother Nature didn't quite deliver. That's OK, though, because it looks like she'll redeem herself this weekend! Storm Team4 predicts temps will be in the upper 60s both Saturday and Sunday. Here's a roundup of some fun ways to enjoy this weekend's unusual February warmth. Roosevelt Island Parkrun: Lace up your sneakers and head outside to burn some calories. Parkrun offers free weekly 5Ks on Roosevelt Island. You can get your exercise in on Saturday at 9 a.m.! Register online here just once and you'll be able to participate in any parkrun, anywhere! There are also weekly parkruns in Fletcher's Cove and College Park. Free Entrance Day at National Parks:Entrance fees will be waived on Presidents Day at national parks across the country to celebrate the National Park Service's 100th birthday! Go for an invigorating hike or a leisurely stroll at nearby favorites such as Harpers Ferry, Shenandoah or maybe even Assateague Island National Seashore. 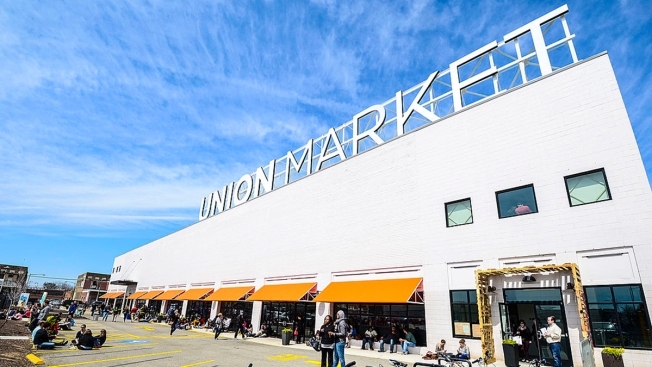 Union Market: This favorite D.C. hotspot is the perfect place to grab lunch with a friend this weekend. Bonus: Union Market will be open on Presidents Day! Find the list of hours and vendors at Union Market's website. Eastern Market: This Capitol Hill treasure is a hub for food, art and community events. Vendors and special items are highlighted here. FRESHFARM Dupont Circle Market: From 10 a.m. to 1 p.m. on Sunday, you can scope out some delicious produce, pastries, desserts or anything else you may crave. Just take a quick Metro ride to the Dupont Circle stop and check out this massive, award-winning farmer's market. Smithsonian National Zoo: Visit Bao Bao, one of D.C.'s favorite giant pandas, before she leaves for China on Feb. 21. Admission to the zoo is free; the zoo is open 8 a.m. to 5 p.m. We've put together a zoo visit survival guide for what will likely be a busy weekend there. The Newseum: Calling all news junkies! This interactive museum has several new exhibits that will spark curiosity in people of all ages. Be sure to check out the "1967: Civil Rights at 50" exhibit, 'Louder Than Words," a tribute to rock and roll's political and social influence, or the Top 10 VR Videos of the Month. General admission tickets are $24.95 plus tax. Tudor Place: This National Historic Landmark and former home to descendants of the Washington family features a collection of artifacts from George Washington. This month, visitors can tour the house for $1 in celebration of the first president's birthday! Reserve a tour in advance online here. If you're clinging to that winter feeling despite the warmer temperatures, rent some skates and hit the ice. Spend an afternoon at one of D.C.'s ice rinks. National Gallery of Art Sculpture Garden Ice Rink: This outdoor rink is open 11 a.m. to 11 p.m. on Saturday and 11 a.m. to 9 p.m. on Sunday. Admission for adults is $8.50 and skate rentals are $3. The Washington Harbour Ice Rink: This rink will be particularly fun on Saturday night from 8 to 10 p.m., with the weekly Rock N Skate. The rink is open from 10 a.m. to 10 p.m. on Saturday and 10 a.m. to 7 p.m. on Sunday. Admission is $10 for adults with a $6 skate rental. Pentagon Row Outdoor Ice Skating: You can skate before or after shopping and dining in Pentagon City; the rink is open from 10 a.m. to 11 p.m. on Saturday and 10 a.m. to 10 p.m. on Sunday. Admission is $9 and skate rentals are $4. Find more local ice rinks here. Alexandria Winter Restaurant Week: Yum -- 70 local spots will be serving up $35 three-course dinners for one and $35 dinners for two during this 10-day event. In addition, 30 spots will also offer lunch specials for $10-$20 per person. You can make reserviations online. Outdoor Dining: Restaurants all across the DMV will likely make use of their outdoor patios and rooftops this weekend. Follow @dcscene's list of more than 180 local restaurants on Twitter to see what they're up to this weekend.